Do you hear from your child how bored they are in school? Do you feel your child is not being challenged appropriately? When a regular classroom curriculum is not meeting a gifted child’s intellectual and academic needs, that child may need a Differentiated Education Plan (DEP). The DEP may be initiated by a caring teacher, or requested by a parent, gifted program coordinator, or qualified educational consultant. Our professionals identify the child’s learning needs and appropriate differentiation for an individual gifted child by establishing an understanding of a student’s intellectual abilities, the current level of knowledge the student has mastered, the social-emotional needs of the student, and his or her special interests and skills. The completed Differentiated Education plan is provided to the school and applied by the student’s teachers. Typically, a gifted or twice-exceptional child needs a compacted curriculum, eliminating unnecessary instruction for that material she already knows. This frees up time for alternative – or differentiated – assignments, planned to build upon the child’s strengths and interests. Often, differentiated educational plans incorporate enrichment in the form of alternative content, processes and products as well as working with a cluster of gifted students with similar interests and abilities. Both project-based learning and problem-based learning can be used to appropriately enrich and challenge these students. Advanced materials, either print or media, are chosen to meet the child’s reading ability and learning level. For example, Jenna is a 3rd grade student who reads at the 5th grade level and does math at the 4th grade level. She would potentially be a candidate for full-grade acceleration, but she is shy and lacks the social skills to advance an entire year in school at this time. So, her plan includes reading with a 5th grade group each day (partial acceleration) and working with a cluster of advanced math students in her regular classroom at the same time that the entire class is working on math. Jenna is also a creative writer. So, during choice time, her teacher provides her with creative writing prompts to work on. Jenna works on self-chosen projects in social studies, sometimes on her own and sometimes with an interest-based group. Jenna usually writes and illustrates stories and reports for social studies. Given that school district GATE program opportunities vary widely, the DEP is written with recommendations that may be readily implemented within the regular classroom, within an existing gifted program, and for supplemental programming provided outside of the regular school environment. Each DEP is unique as each child’s profile, strengths, interests, and educational needs are unique. It is recommended that a DEP be developed at the time of an initial assessment and at significant educational milestones or transitions, such as a change of school, move to a new school level (primary grades, intermediate grades, MS, HS), or when a student is experiencing a lack of fit with current educational programs. Incorporating differentiation into a gifted or 2e child’s education can make the difference in sustaining his or her interest in learning for life. For more information or to schedule an appointment, please call Summit Center at 925-939-7500. 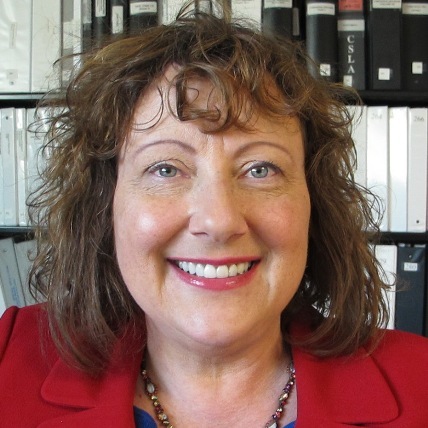 Dr. Susan Daniels is is co-founder and Educational Director of the Summit Center as well as Professor of Educational Psychology and Counseling at California State University – San Bernardino. She is a Gifted Education Program Consultant and former GATE Program Coordinator. Dr. Daniels provides Differentiated Educational Plans for children and adolescents as part of Summit Center’s Gifted Comprehensive and Gifted Complex Assessments. She analyses and synthesizes the data for each individual, making recommendations for appropriate academic differentiation, enrichment, acceleration, and more. Dr. Daniels is co-author of Raising Creative Kids (Great Potential Press, 2013), and co-editor and co-author of Living with Intensity (Great Potential Press, 2008). Find a list of Differentiated Education Strategies at https://summitcenter.us/wp-content/uploads/2015/06/Differentiated-Education-Strategies.pdf .